Welcome back to the ORC Week 4-Home Office where I am working on DIY wallpaper with tape this week! 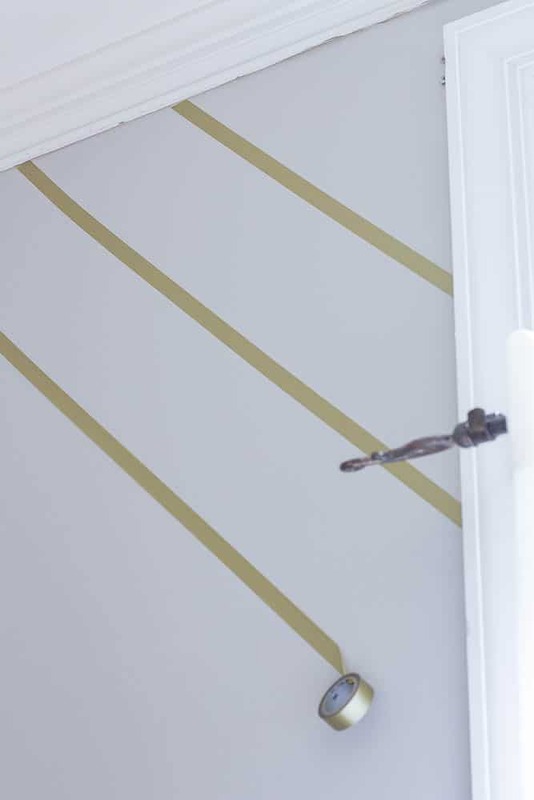 I am going to use tape, ruler, and scissors to create a wall design that will look like beautiful wallpaper when I am done. I just want to remind you first that the ORC or also known as the One Room Challenge is a challenge hosted by Linda from Calling It Home and House Beautiful. Over 150 designers and home bloggers with transform a space and show their progress every Thursday. On November 16th we will show our final reveal for our room makeover. You will want to check out all of the participant’s rooms because you will be blown away by the transformation of each room. If you want a recap, you can visit Week 1, Week 2, and Week 3. 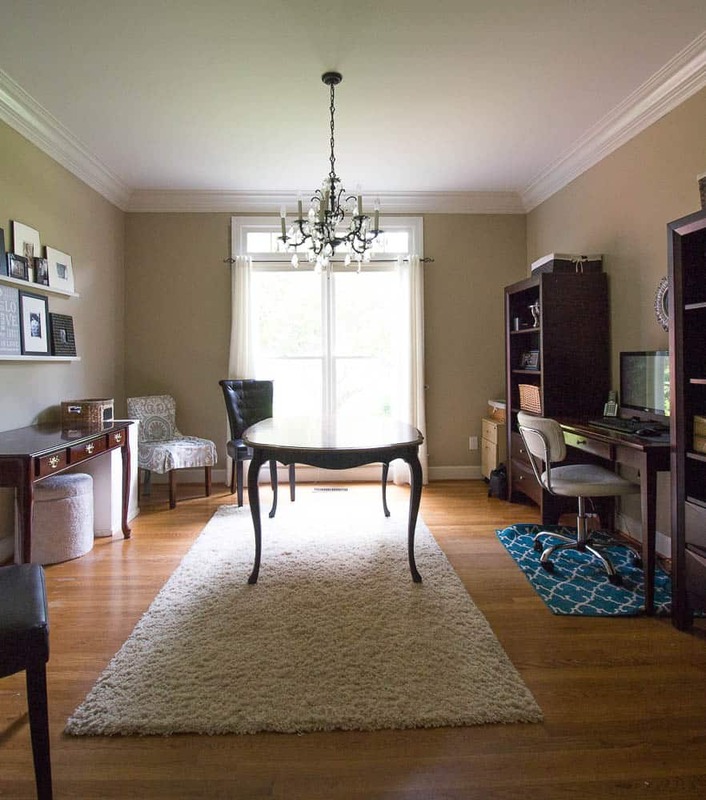 This is what the home office looked like before we started the challenge. I have actually used most of the items in this room but I transformed them in one way or another. I painted the bookshelves white. I turned the rug horizontal. I recovered the office chair with white fur. I made a desk using the two white file cabinets. I am using the same curtains and I am using the same picture frame ledges on the wall. 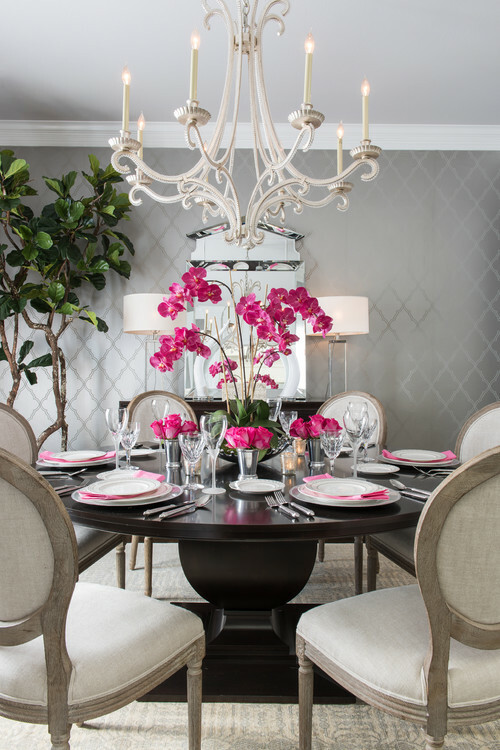 I am planning on purchasing a new light fixture, side table, and blush colored chair. I knew I wanted to add some paint or wallpaper on the back wall so I started searching for wallpaper. The only negative about wallpaper is that I change things in my home all the time. If I go through the trouble of hanging it, I know that I will have to live with it for a while. 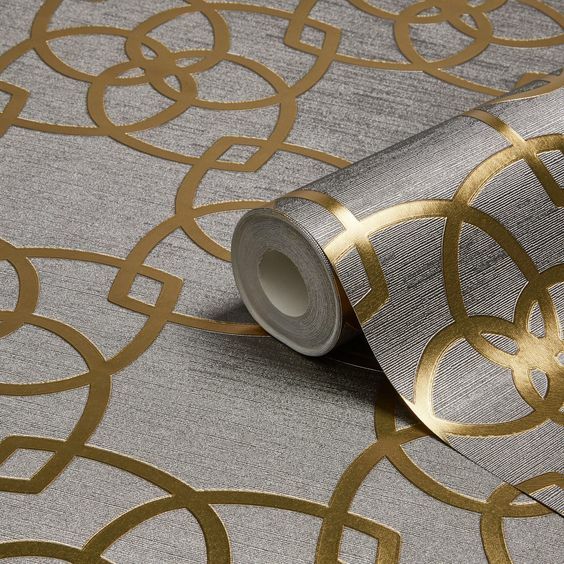 While looking for wallpaper, I saw this gold metallic and I knew that I wanted to use gold. This post contains some affiliate links for your convenience. You can see full disclosure policy. 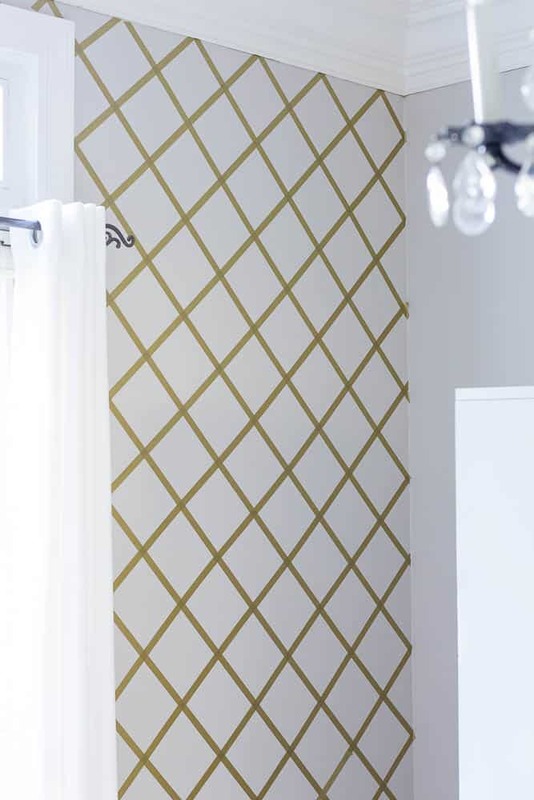 I really like the geometric trellis pattern on these wallpapers. I have seen where people use Sharpies to create a faux wallpaper on their walls so I wondered if I could make a faux wallpaper with washi tape. Scotch Tape make a tape called Scotch Expressions. My ceilings are high so I used four rolls of tape for the entire wall. I started with a random row. 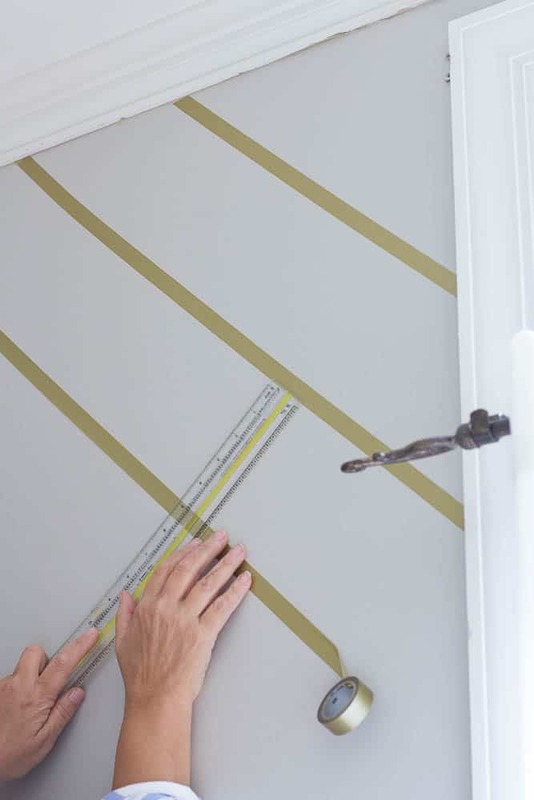 The tape is very easy to remove and stick back down so it is easy to work with. I placed the rows 4 1/2 inches apart but you could make your pattern any size you want. After I completed the tape going in one direction, I had to add tape going in the other direction. I wanted perfect diamond shapes so I kept the lines 4 1/2 inches apart. I am a nut about symmetry so before I started the other side of the wall, I measured from the floor where the stripes started. I wanted the pattern to be exactly the same on both sides of the wall. My husband walked in from work and asked me if I wallpapered the wall. He could not believe I created this DIY wallpaper with tape. Do you want to know the best part? This is an extremely inexpensive way to decorate your walls. The entire wall cost me around $10 and it can be done in an afternoon. 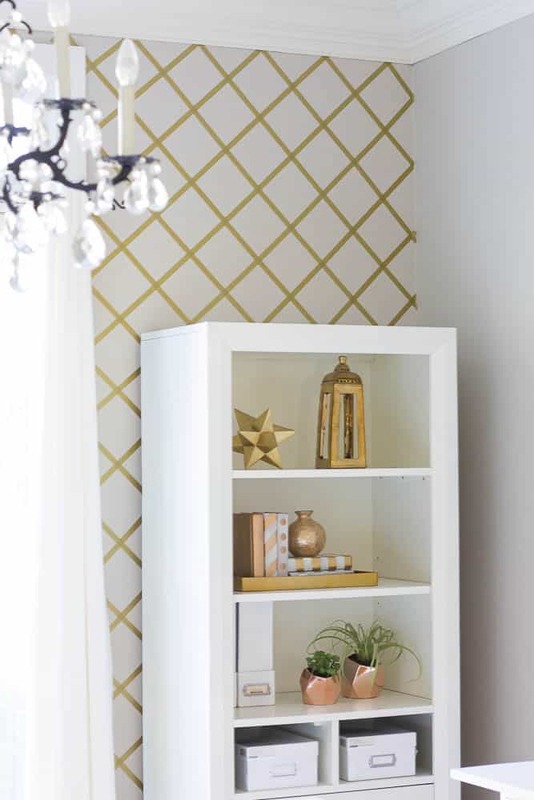 I made these DIY Spray Painted Books with Stripes and Dots for Southern Living. If you view the tutorial, you can see the video that was made at Southern Living Headquarters with step-by-step instructions so that you can make some for yourself. Next week, I will be accessorizing my office. I will be adding art and decor to my wall ledges and I will hang the new art over the side desk. If my new lighting comes in, I will be installing it next week. I also have a few more DIY projects that I will be sharing in the next two weeks. Oh Sherry, Such a great idea and it’s so stunning! I love it!! WOW! I am in love with this noncommittal idea! It looks so good my friend – I can’t wait to see the finished space – it’s going to be a head turner! It really does look like wallpaper! What a great idea. I’m not one to stick to something I like too long either, which is why putting wallpaper up isn’t something I plan to do anytime soon. Look forward to the next 2 weeks! Wow!!! 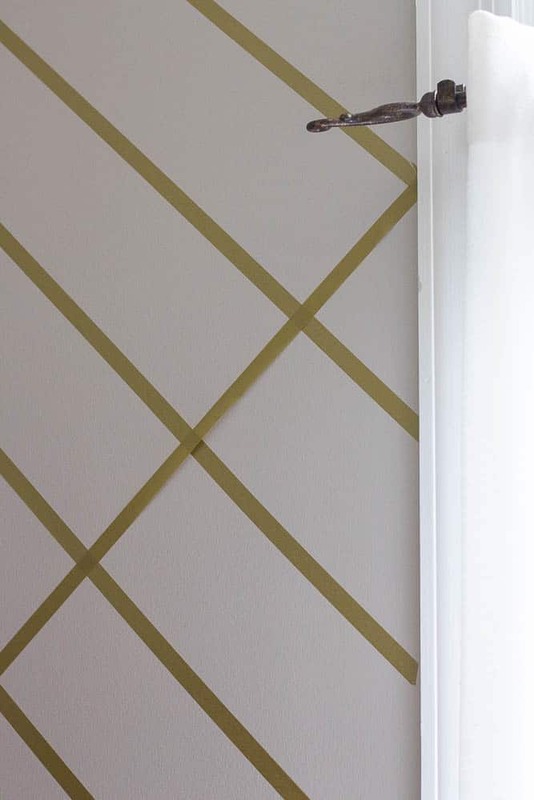 Washi tape is amazing, what a creative way to add detail to a room. You hit it out of the park with this one my friend!! Very nicely done! That looks just like wallpaper, what a great idea. This would be perfect for renters- fantastic idea! Love the way it turned out. Oh my, that wall is amazing! I can’t believe it’s tape!?! I have to find a place to try this, your office is going to look awesome, I can’t wait to see the reveal. Looks great!! Love seeing so many DIY projects and everyone is so creative! 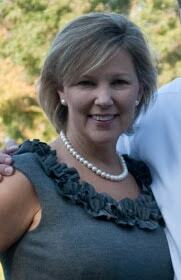 Fab job Sherry! 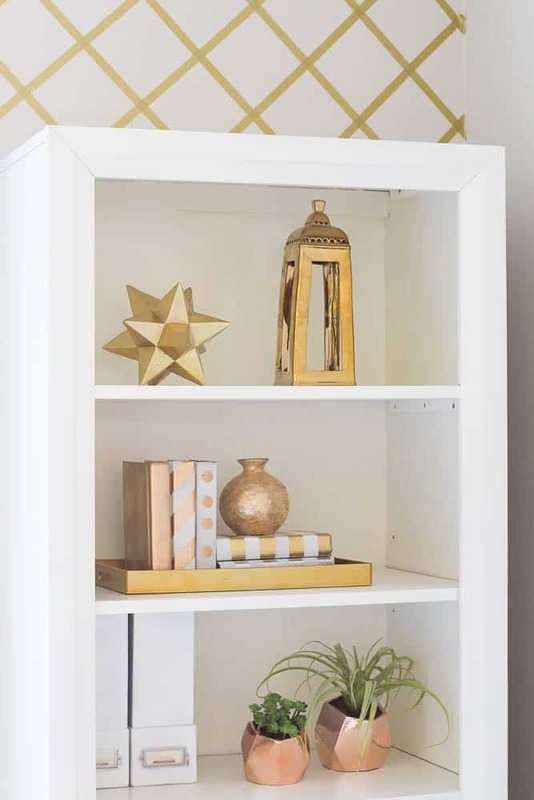 What a genius and inexpensive idea to add some glam to your room! I love how easy this looks and it turned out fantastic! What a great idea! I cannot believe how much it looks like wall paper! Absolutely brilliant!! What a fantastic idea and it looks incredible!! You are brilliant. What a great idea! I don’t like the commitment of wallpaper because I am just like you and like to change things too much. Plus…wallpaper can be expensive. This is a win-win on the commitment as well as the cost. Well done! It’s a great alternative to wallpaper! Thanks Nicki! It has not peeled at all. It is on there very securely. I put the tape on the walls several weeks ago because I wanted to make sure that it works before I posted the tutorial. I purchased some tape that was glittery and it did not adhere well to the wall but I read that this Scotch Expressions without glitter sticks great and it sure has. 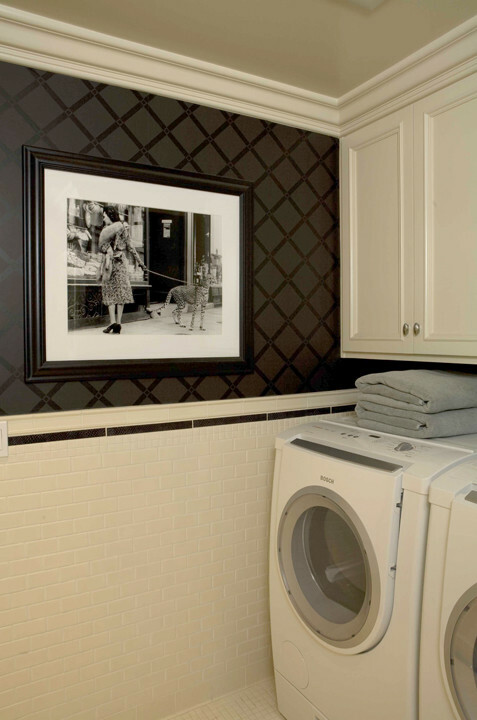 What a great idea for those of us that can’t bring ourselves to wallpaper. It’s beautiful. What a cool effect! I love the temporary aspect with a stunning outcome! I would never have thought that this was tape. Gorgeous! Fantastic idea-And it makes such a great statement! I’ve really enjoyed watching you makeover this room- can’t wait to see the final reveal! Gorgeous! What a great space. I love how bright and beautiful it’s becoming!